It’s Monday again and we all start the process all over again. I am blown away by how fast this year is going. We are heading for the end of July!! Am I the only one that feels this way? Wow! Anyway, I had a lovely weekend even though both of us are still sick and feeling miserable. Best off all. I have more polish to share!! I am always talking about Tip Top nail polishes and in case you haven’t noticed, it really is a firm favourite. I love the quality, the range and the price of Tip Top but most importantly, I love that it is a South African product. Tip Top Nail Chic polishes are available at selected clicks stores for R39.99. Selected Foschini stores, however, stock the Tip Top Nail Addict range. Some of these polishes are very similar to the Nail Chic polishes and just renamed for the different ‘range’ but most of these shades are unique and absolutely gorgeous! I only recently found a Foschini close to me that stocks the Tip Top polishes and I rushed on over to pick a few up. I only chose 3, because if I didn’t stop there I would’ve come home with all of them! I don’t even have words. 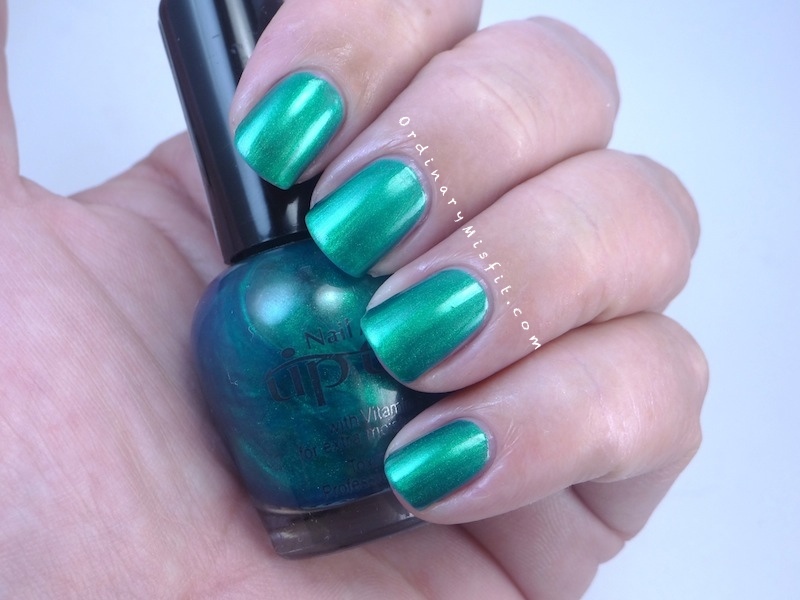 This is almost a bright emerald green shade but it looks almost metallic. It also have this shimmer. Unbelievable, beautiful shimmer. It is too gorgeous! This is two perfect coats with no topcoat. Here is a photo of a bit closer up. Moonshine is a gorgeous steel grey metallic colour with the most gorgeous silver shimmer. The polish does lean a bit to the blue side in some light. It is absolutely gorgeous! I like that it is a lighter colour but still has the gorgeous shine and shimmer to it. This is two perfect coats with no topcoat. Here is a bit of a close up. One thing you can be certain of with any and all Tip Top polishes, super quality. I adore the beautiful shiny finish on Tip Top polishes. The colour pay off is also really great and most polishes will have perfect coverage in two coats. I couldn’t be prouder and feel more proudly South African than when I am using these polishes. If you are a fan of Tip Top like I am but have mostly been using the Nail Chic line available from Clicks, do yourself a favour and find your nearest Foschini that stocks Tip Top. There is just something about these Nail Addict shades. You can also find Tip Top on Facebook or have a look at their website. I love their Facebook page because they share tons of great information, tips and tricks and beautiful, inspirational nail art images. The Tip Top Nail Chic line is available at (selected & most) Clicks stores for R39.99 and the Tip Top Nail Addict line is available at selected Foschini stores for R39.99. Have you tried Tip Top yet? What is your favourite shade? Damn you!!! Now I really want the moonshine! I LOVE my Stormy Sky! The Atomic Green is a bit too green for me. Admittedly it is a stunning green though, reminds me of jewels! Moonshine is gorgeous. I think it is especially great for people who don’t like colour as much. 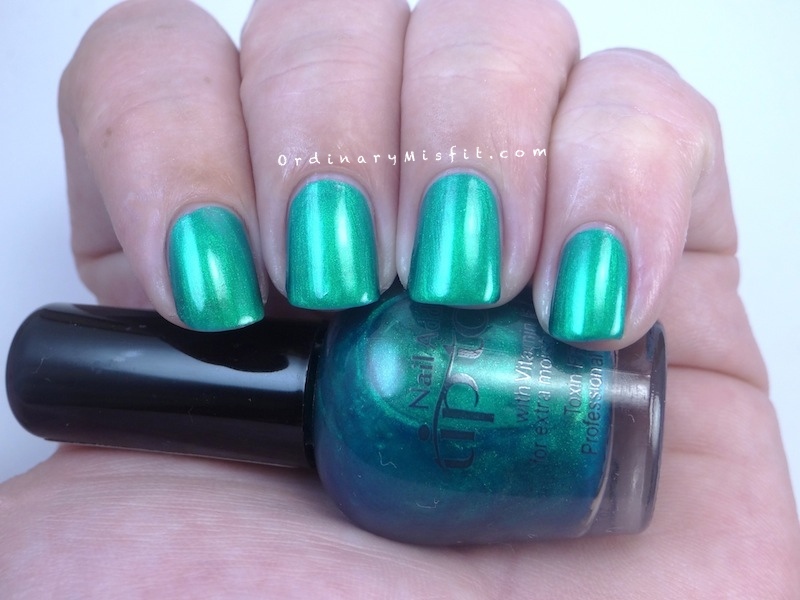 Atomic green is very green but you’re right, it is very jewel like! Absolutely gorgeous! Atomic Green and Stormy Sky are both ridiculously pretty! RIDICULOUSLY!!!!! Ugh, stuff this, I’m walking to a Foschini’s month end!!!! You won’t be sorry! It is so gorgeous! Thanks for reaading! Thanks! I agree. Too gorgeous!